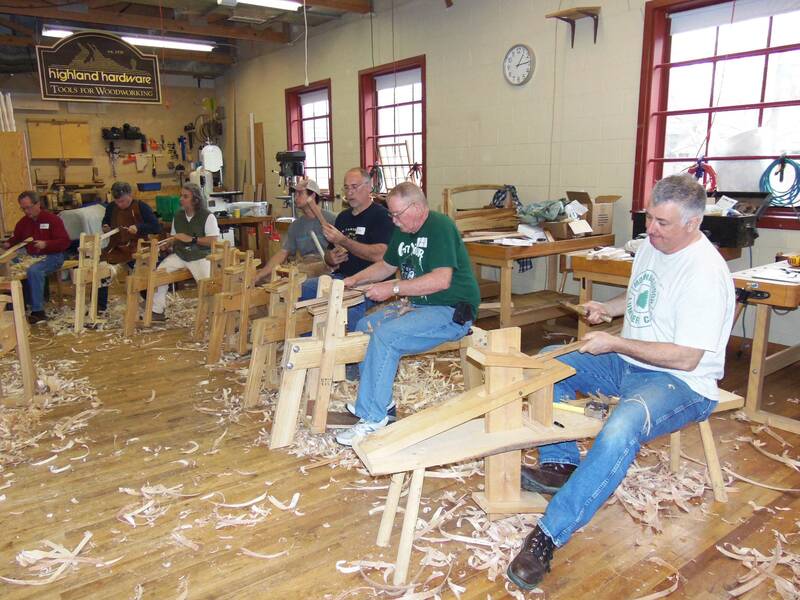 This week, Highland Woodworking is hosting master chairmaker, Peter Galbert, who is teaching a 7-day class entitled Build a Continuous Arm Windsor Chair from March 3-9. 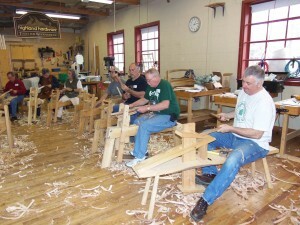 Students are holding their own on their horses while they pile up the shavings using drawknives on rived red oak stock, which will become the back spindles for the chair. Pictured above, you can see one student’s results from a good productive first day on the shave horse. 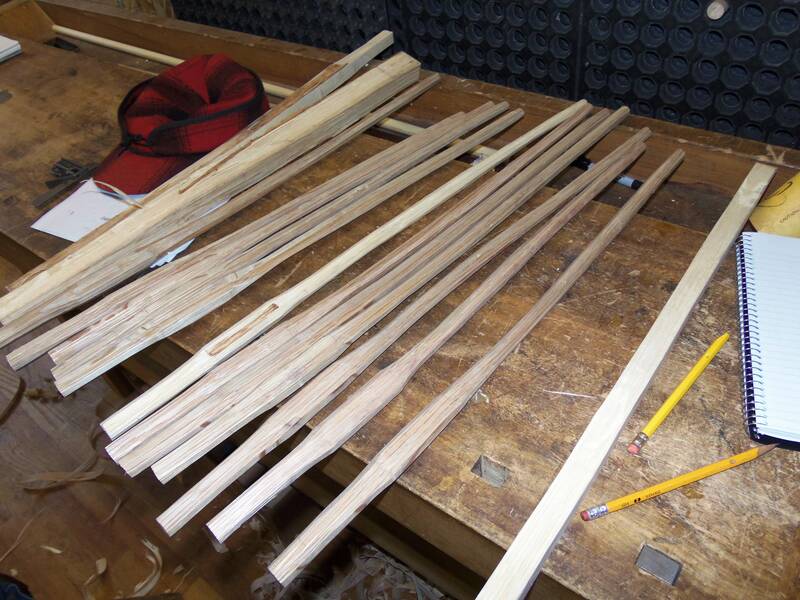 A batch of chair back spindles roughed out and ready for the drying box. 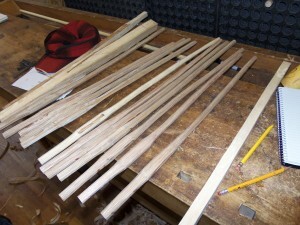 Once they lose some moisture, they will be pared down to final dimension.